What is 'umbilical cord blood'? The blood left over in the umbilical cord (funiculus umbilicalis) and in the placenta after child birth is umbilical cord blood. It is composed of normal components and also hematopoietic (blood-forming) stem cells (HSCs). 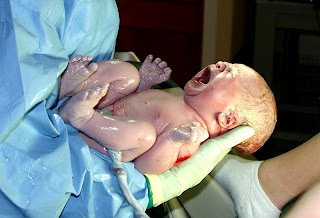 After child birth, the mother's body expels placenta and the attached umbilical cord. The end of umbilical cord attached to the baby is clamped and cut. Earlier placenta and umbilical cord were discarded without second thought as afterbirth waste. After the discovery of immense uses of HSCS contained in this blood in 1970s, blood from the placenta and umbilical cord is being collected, frozen and stored widely. Another promising development is the use of cord tissue (Wharton’s Jelly). This tissue is very rich in Mesenchymal stem cells (MSC). MSC stem cells differentiate and grow to form tissues like bone, cartilage and connective tissue. Stem cells differ from the other organ tissues of the body. Their function is not defined and they can keep on dividing creating more stem cells. Under specific conditions they can also become specialised by the process called differentiation. Stem cells are present in embryonic tissues, bone marrow, adipose (fat) tissue, peripheral blood, menstrual (endometrial regenerative tissue) and umbilical blood. These are hematopoietic stem cells (HSCs) found in the bone marrow and cord and are capable of growing and differentiating into mature tissue components of circulative system. Apart from maturing into red blood corpuscles, white corpuscles and platelets, they even have the potential to give rise to other organs. Harvesting bone marrow stem cells has to be done under anesthesia and the donor has to suffer postoperative pain. These hematopoietic stem cells are also found in the umbilical cord blood. An excellent source of stem cells when compared to bone marrow, cord blood has wide uses in transplantation and regenerative medicine. The occurrence of the fatal graft versus host disease (GVHD), in which the donor tissue attacks the recipient's tissues, is less frequent with cord blood than with bone marrow. Many blood related and genetic diseases like leukaemia, lymphoma, thalassemia, severe anemia, severe combined immunodeficiency (SCID or "bubble boy disease") and aplastic anemia require radiation and chemotherapy for getting rid of the diseased tissues. The next step is infusion of healthy and disease-free stem cells to grow up into functional tissues sans the disease. In such cases bone marrow transplants have been used extensively from healthy donors. When compared to bone marrow, umbilical blood yields more number of stem cells and the procedure to store these stem cells for future use is also easier. The collected umbilical blood is processed to harvest the stem cells and stored cryogenically in liquid nitrogen. When the disease is familial, the stored product from healthy member can be used for treating diseased siblings or relatives. Further properly collected, screened and matched collection from any donor can be used for treating diseased recipient individuals. Much promising research works are going on in treatment of brain injury, treatment of type 1 diabetes and treating conditions such as hearing loss and paralysis with umbilical cord blood. Cardiovascular repair and corrections are other promising fields of regenerative medicine. After clamping and detaching the umbilical cord from the newborn, the blood is syringed out from the placenta and collected in a bag similar to standard blood collection method. On an average about 75 ml of blood is collected from the placenta. The collected fluid is frozen and cryopreserved in liquid nitrogen for future use. The cryopreservation process comes with some risks like loss of water from the preserved tissue and the resultant extracellular ice formation with damage to cellular membranes. Vitrification technique is used to overcome the ice formation, by adding cryoprotectants and rapid cooling. Further the collected sample has to be screened for HIV 1, HIV 2, Hepatitis B, Hepatitis C, syphilis, Creutzfeldt-Jakob disease (CJD), Variant Creutzfeldt-Jakob disease (vCJD), Human T-lymphotropic virus (HTLV) and Cytomegalovirus (CMV). Private umbilical cord blood banking is controversial among the parents as well as the medical community. Preserving cord blood for future use of the baby is prohibitively costly. Parents may be mislead into storing this tissue without the actual necessity. Only a small percentage of babies may be requiring the stored umbilical blood stem cells in the future. If the private bank becomes nonviable or closes the shop, the fate of the stored product is at great risk. Apart from difficulties involved in shifting it to a new bank there may be loss of quality. Added expenditure and problems involved may even negate the very purpose of storing. However there is great support for public banking for umbilical blood from all sections of the communities. This has to be done by the State and if effectively done will become a priceless resource. A national grid of umbilical cord blood stem cells banks can be an ideal solution, wherein everyone can deposit into and everyone can draw from. Daily health tips - How to stop chocolate cravings? 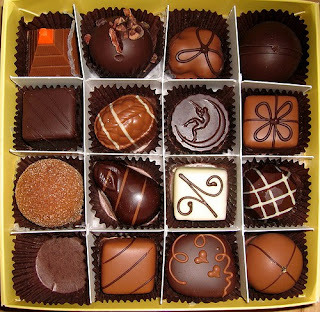 For most of us chocolate is irresistible and it is almost impossible to stop chocolate cravings. Understanding its beneficial and adverse effects on health makes it easy to control or stop the cravings. This sweet cocoa product is made from the seeds of the cacao plant, native to South America. The mature seeds are fermented and dried. After cleaning they are roasted and the shell is removed to get cocoa nibs (pieces of kernel). Pure and rough form is obtained by grinding the cocoa nibs into cocoa mass. This is also called chocolate liquor as it is liquefied and molded for various uses. This liquor is also processed to make cocoa solids and cocoa butter. Baking chocolate: This is the raw and pure form without other ingredients or sugar, containing varying proportions of cocoa solids and cocoa butter. It is the starter for various other forms. Sweet chocolate: This is the most consumed form and made from cocoa solids, cocoa butter, sugar or sweeteners, oils or fat and other flavoring agents. This is the form for which many people develop cravings. Milk chocolate: This has cocoa solids, cocoa butter, sugar and milk in it. White chocolate: This form contains, cocoa butter, milk, sugar. Cocoa solids are not added to it. Sugar is the main ingredient making, otherwise bitter tasting, raw chocolate edible. This added sugar leads to many health problems. In fact dark chocolate, having minimal sugar and cocoa butter has many health benefits. Tips on how to stop chocolate cravings? Nutrient mineral cravings: It is rich in magnesium and if an individual has nutritional deficiency of magnesium, he may develop cravings for its source. Women during periods lose considerable amount iron from their body and they develop chocolate cravings as it has considerable amounts of iron in it. In such cases taking supplements containing magnesium or iron will satiate the desire. Sugar cravings: Actually it may be sweet cravings, possibly due to hormonal imbalances in serotonin and insulin. In such cases consult a doctor for treatment of the disorder. Unhealthy dieting, sipped meals and energy starvation also trigger desire for sweets which our mind may associate with chocolate. Consult a dietitian for your food schedule. Mood boosting: Chocolates contain some amounts caffeine phenylethylamine and anandamide. These chemicals give the feeling of well being and euphoria. As these have mood boosting effects, loneliness and boredom may trigger the cravings. Keep yourself in positive mood and make yourself busy with interesting activities. Going in for mood boosting activities and entertainment will make you oblivious of this sweet. Underlying psychological issues: Individuals lacking love, and self-confidence may try to find solace with their sweets. Analysis of these deeper emotions with a help of a counsellor may do lots of good. Have a partner in quitting: If a close friend or a family member is also inclined to stop chocolate cravings it becomes much easier as both of you can plan your actions and guide one another. Brisk walk: In some studies it was found that a brisk walk or exercise for 15 minutes can reduce the desire. Resisting the temptations may not be easy but very much possible. Condition your mind and focus on all its possible negative impacts on your health. Then it gets easier to stop chocolate cravings. On a diet and starving? - How to lose weight without starving? On a diet and starving? How to lose weight without starving? Quite often people diet, starving themselves, but do not lose weight. What is happening? How to diet and lose weight without starving? For many, it is frustrating to lose weight and more frustrating to keep it off from regaining. However, if you understand the basic physiological facts, you can win the 'Battle of Bulge". One has to make up his mind to lose extra weight. To lose fat one has to diet, but it should be without starving. Sudden and too much diet restriction on the calories is a grave mistake made in a spurt of enthusiasm to lose weight. Such sudden changes, deviating from our regular diet and also calorie starving, makes our body to get into a defensive mode. We start having stronger appetite and keep feeling hungry and in order to conserve energy become lethargic. Our body requires fat burning to lose weight and not fat saving. The immediate requirement to lose fat is increased energy expenditure and fat burning without increase in diet or diet restriction. Please note that physical training must be a gradual process and individuals who are over-weight usually have concurrent heart ailments and malfunctioning sugar metabolism. Periodic checkup and medical advice is a must. Cycling, swimming, gym workouts and walking contribute greatly to calorie burning. A one time burning of energy is not enough. It may not burn up all the extra calories taken in. We have to keep ourselves busy throughout the day spending calories. To lose weight day long calorie burning is necessary. A long spell of laziness after a brisk fat burn is more dangerous as body goes into energy conservation mode and starts actively storing fat. Diet restriction to cut down calories must be a gradual process to be developed over a period of time, possibly under the guidance of a dietitian. For calorie restriction (without starving), the immediate focus must be on fad foods and junk foods. Really they are junk, which we lovingly put into our stomach. We have to wean ourselves off fad diets and stop their inclusion in our diet. The next step is in taking a balanced diet (must consult a dietitian) comprising all the required nutrients like carbohydrates, proteins, essential fatty acids, vitamins, minerals, trace minerals and fiber in the required proportions. When our diet is not balanced and lacks some essential nutrients, our body sends out hunger signals, as though we are starving, to make us eat more to make good the shortage. This leads to piling up up of calories and leads to fat gain. We have to consume plain water at the rate of one liter per twenty kilogram of body weight. Quite often we mistakenly respond with food or food drinks for the thirsty feeling. In hot climates, after workouts and in summer, the requirement of water may increase. Do not take your daily diet requirement as two or three heavy meals. When excess diet is available, our body starts converting excess fats and carbohydrates into body fat. Split your daily food requirement into four or more balanced meals. We have to diet intelligently to lose weight without starving.